On days when the pain is debilitating, you may not want to get out of bed. It may seem as though you are fighting a losing battle against the pain, but your quality of life can be restored. More importantly, it can be done without having to rely on opioids for relief. Here are a few tips on what you can do to minimize chronic pain. Biofeedback is a relaxation technique in which patients use their mind to control body functions that normally occur without fail. Participating in a biofeedback therapy session can give you the skills to lessen your pain at home. In a session, sensors will be attached to your body, then connected to a monitoring device. The device will measure your body functions such as breathing, perspiration, skin temperature, blood pressure and heart rate. As you relax during therapy, your breathing slows and your heart rate will dip. As the numbers on the monitor begin to reflect your relaxed state, you will start to learn how to consciously control your body functions. Through biofeedback therapy, you will learn how to use your mind to overcome bouts of pain. It’s no secret that chronic pain and inflammation go hand-in-hand. Inflammation is a normal immune response in your body that usually alerts you when something is wrong. Pain, swelling and redness are all forms of inflammation that is needed to help with the healing process. Inflammation becomes an issue when it becomes chronic, and the initial healing process fails, which causes pain. Fortunately you can reduce chronic pain and inflammation by consuming a healthy diet. Certain foods can cause flare ups, therefore they need to be reduced or eliminated. Those foods include dairy products, fried food, refined flour, sugar, high-fat red meat and all processed foods. The proper diet should be rich in leafy-green vegetables, low-sugar fruits and foods high in omega-3 fatty acids. Exercise is actually one of the best ways to reduce chronic pain. The less you move, the more pain you are likely to feel. The endorphins that are released during exercise are natural painkillers that increase your tolerance by changing how your body responds to pain. Routine exercise can help you reduce your medicine intake, increase your happiness and return your zest for life. If you find it difficult to move fluidly during exercise, start by walking a few times a week, then gradually increase your efforts. Naturally, you’ll want to do everything you can to maintain your independence, but know that it is more than ok to need help. Overdoing it in areas where you shouldn’t will only worsen your pain, causing you more stress and unhappiness. Figure out areas of your life where you could use some help and then see who might be able to provide it. For example, keeping your house clean may be especially difficult when your pain is at its worst. Consider asking a family member to help you with cleaning once a week or if you have the resources, hire a housekeeper. Yard work can be another troublesome area for people with chronic pain. Chances are you can find a tween or teen in your neighborhood who would be more than happy to pick up leaves in your yard or mow it once every couple of weeks for a few extra bucks. Just having this little bit of extra help can make a world of difference. Chronic pain can be very isolating and it may seem as though no one in your immediate circle understands your frustration. 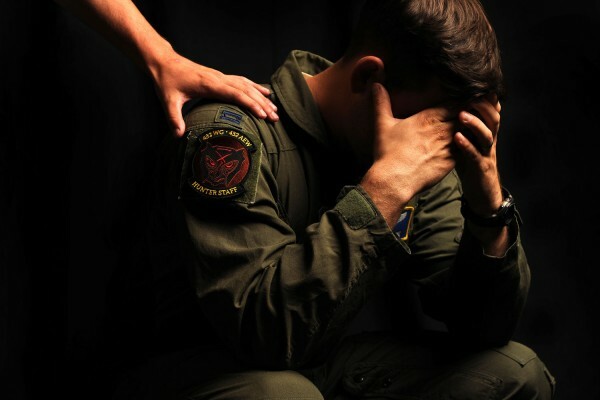 Participating in a support group, such as those provided by the ACPA and its sister organization Veterans in Pain, will provide a safe haven for you and allow you the opportunity to vent. Those that suffer with chronic pain tend to see themselves in a negative light. Thinking negatively of yourself can lead to depression and more painful flare-ups. If you find that the group setting is not helping you solve your issues, consider reaching out to a therapist. Never be ashamed or prideful to ask for help –it just may save your life. When you are in pain, it can be hard to find the motivation to do anything. Feelings of anger and resentment toward your body are to be expected, but it is important that you push forward. Chronic pain is a condition that can be successfully managed as long as you treat it with self-love and patience. Use these tips as a blueprint to help you combat chronic pain and start living your best life!